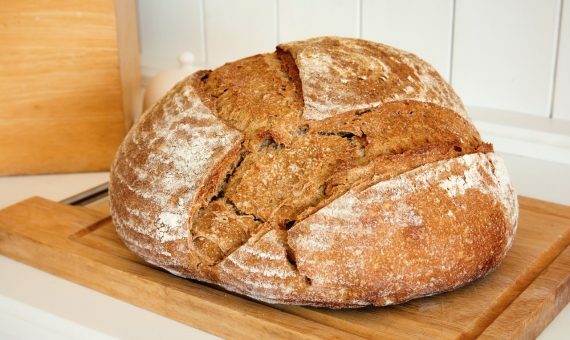 The Bread and Roses version of this loaf follows its more famous French cousin in many ways. 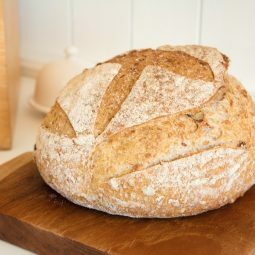 It is raised using only a natural leaven. 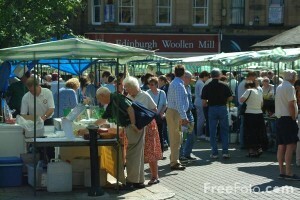 It uses a high extraction flour, milled specially from locally-produced organic wheat. Our flour is supplied by Gilchesters’ Organics; the single-strain wheat is grown and milled on the farm, near Stamfordham in Northumberland. The soft dough contains nothing else apart from flour, salt and water. Each dough piece is proved in a linen-lined basket, known as a “banneton”, before being baked directly on the sole of the oven. 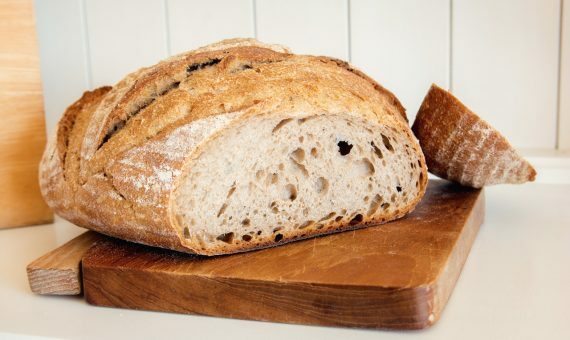 As well as the classic 1200g loaf, we currently offer a 600g version as well. Slice it thick and load with any of your favourite sandwich fillers for the perfect lunchtime treat. 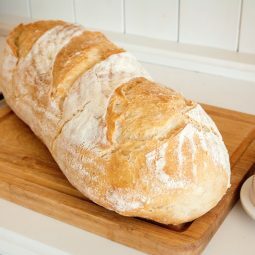 The inspiration for this loaf comes from the famous and much-missed Parisian baker, Lionel Poilâne, whose family bakery offered one loaf variety at its Rue Monge baker’s shop. 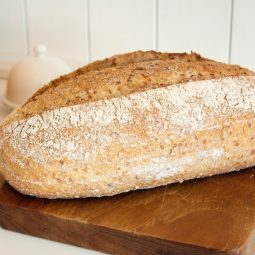 Miche meaning “a big round loaf”, usually weighs between 1.2 and 2.4kg, and was offered for sale as a full loaf, or in halves, or quarters, which were cut in the shop as the customers tucked into the gorgeous little shortbread biscuit fancies with the compliments of M. Poilâne.